This dog weighs in at over 130 lbs! That is almost double the weight that he should be at! Look– I know that most dogs are not this obese. But please, for your sake, your dog’s sake and for your pocketbook’s sake, keep your dog fit and trim. 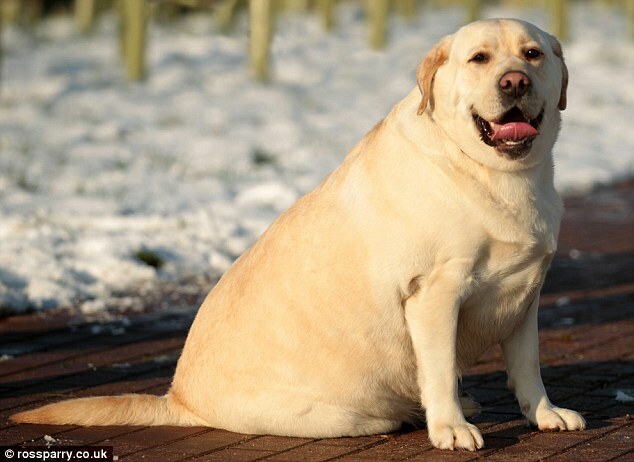 Massive Mike the Labrador placed on strict diet after weighing in at NINE STONE | Mail Online. How sad…I hope he gets help and becomes healthy. I hope so also. It is so easy to avoid such situations. Your dog is NOT better off like this. Thanks for the comment Roxy!